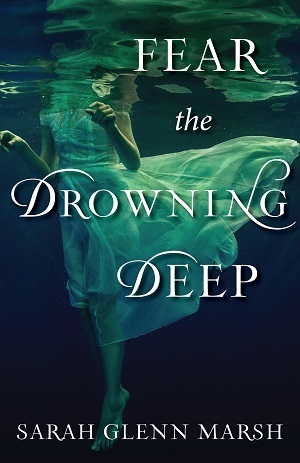 Author Sarah Glenn Marsh‘s debut novel Fear the Drowning Deep was released by Sky Pony Press on Oct. 11. Set against the mystical backdrop of the Isle of Man in 1913, this YA book follows protagonist Bridey as she grapples with her fear of the ocean (hence the title), encountering a supernatural threat and a blossoming romance in the process. The novel draws in readers from the first page when a drowning victim is discovered on the beach, “her dark hair wrapped around her neck like seaweed,” and the mysterious circumstances surrounding the young woman’s death (which echo the demise of Bridey’s own grandfather years earlier) keep the reader engaged and intrigued, with Marsh’s vivid descriptions painting an evocative picture of Manx living. What stood out to me is that it’s beautiful and rugged enough to be something out of a fantasy land, and the culture there is steeped in centuries of lore. It’s the sort of wild, untamed place where anything seems possible, and the more I read about it, the more I envisioned my story unfolding there on the rocky cliffs, among sea birds and starfish. The Manx culture and landscape really helped shape the story! You can read my full interview with Sarah Glenn Marsh at Carousel, a Skyhorse Publishing Book Blog. A Pop City Life contributor since 2014, Nicola holds a degree in print and multimedia journalism from Emerson College. Raised in the U.K., she has since lived in Philadelphia and Manhattan, and currently resides in Boston. She's a big fan of the Cheshire Cat.